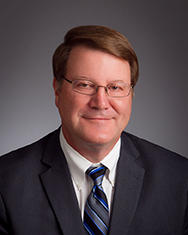 TOM MUSELMAN serves as president of DRG, the parent company of Annie's and SFG, media and technology solutions companies owned by the Muselman family of Berne, Ind. He began his career at the family-owned printing company on June 1, 1974, working part time during summers at EP Graphics (EPG) and full time beginning in 1980. Positions held at EPG were web printing press operator, pre-press supervisor, press room supervisor, plant operations manager and vice president of manufacturing. In June of 1998, DRG was formed and he was named president. Tom serves on the boards of The Berne Witness; EP Graphics; Smith Brothers of Berne Inc.; and Swiss Village Continual Care Retirement Campus. He received a bachelor's degree from Indiana University. Tom is a long-time member of First Missionary Church, Berne.